It's that time of year, the time when we look back at everything that happened over the last year. When it comes to books, most people make lists of The Best of the year, leaving off anything that was written prior to it, but that's not what I am going to do. This list is about the best books that I read this year no matter when they came out and in no particular order. I have read a few books written by Tessa Dare over the past few years, but this one is probably my favorite. This is the second book in the Spindle Cove Series and it was published in 2012. The plot centers around Minerva Highwood and Colin Sandhurst, Lord Payne, both of whom need to get out of Spindle Cove, although for very different reasons. Minerva is a scientist and has enrolled in a scientific academy that meets in Scotland. She needs to be there to read a paper she wrote on a new species of lizard, but there is a problem. No one in the society knows that she is a woman. An even bigger problem: getting there on her own. Her solution: pretend to be madly in love with Colin Sandhurst and make it appear as if they have run off to get married. Colin needs to get out of Spindle Cove because he is bored out of his mind there. Unfortunately, he cannot leave until his birthday or until he is married otherwise he will not receive his inheritance. What I loved about this book was that it was the perfect balance of comedy and romance. As Minerva and Colin make their way from Spindle Cove to Scotland, they run into a lot of obstacles that could have (and probably should have) made me really annoyed, but Ms. Dare did a really good job of making me want to keep reading. I also really liked the ending, which I will not spoil for those that have yet to read the book. I will, however, say that it is not your typical ending for an historical romance. If you've read my blog before, then you are aware of the fact that I am a big fan of the In Death series and that the last few books in the series have left me a bit dissatisfied. Thankless in Death changed all that. I know that a lot of people had problems with this book, and I admit that it is lacking in some respects (I would have loved to see more of Roarke's family and Thanksgiving). However, I really enjoyed this book. 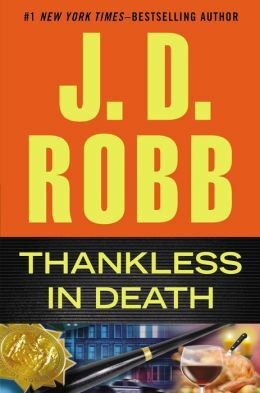 Thankless was one of the books where we knew who the killer was right off the bat. Usually, I don't like those books because there isn't much of a mystery aspect. This time, however, I really liked it, probably because the killer was very much the type of criminal that you see every day. He wasn't very smart, but what he was was lucky. Every time Eve and company got close to finding him, his luck would save him. This book was my introduction to Julia Quinn. I had seen her books in the library before, never picking one up, and I'm not sure why. 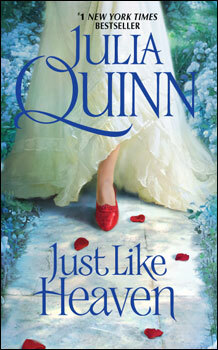 Just Like Heaven is the first book in the Smythe-Smith Quartet and features Honoria Smythe-Smith and Marcus Holyroyd. Honoria and Marcus have known each other since they were children and until recently they had thought of each other as siblings, since Marcus was Honoria's older brother's best friend. Neither wanted to see the other as anything more because that would have been weird and for Marcus, it would have been a betrayal of his relationship with Honoria's brother. Like Tessa Dare's books, this one manages to balance comedy and romance very well, but what I liked the most about this book was that it had one of my favorite tropes: friends to lovers with a dash of annoyed brother thrown in. 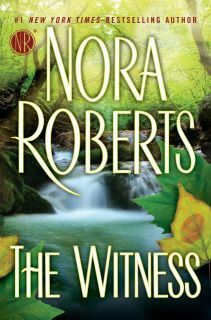 The Witness came out before 2013, but because both of Ms. Roberts's other books were underwhelming, I chose to put off reading it. I really wish I hadn't. This book was everything that I like in a stand-alone Nora Roberts book. It had romance, suspense, and a great hero. As a teenager, Elizabeth Fitch witness a brutal mob hit and turned State's Evidence. Unfortunately, before she could testify, the mobsters found her and killed the marshalls that were protecting her, forcing her to go on the run, changing her name several times before setting on Abigail Lowery. As Abigail, Elizabeth puts up walls, preferring not to get involved with people both for her safety and for the safety of those around her. She was not about to take the chance that what happened to her protectors would happen again. Everything changes for her when she meets Brooks Gleason, the police chief from the small town, where Abigail has settled down. Something About You was the first Julie James book I read and it is one of my favorites. The plot centers around Assistant United States Attorney General Cameron Lynde and FBI agent Jack Pallas. When Cameron is forced to spend a night in a hotel because the floors in her house were being fixed, she overhears a murder, making her the only witness to what should have been a perfect crime. Agreeing to cooperate with the authorities, Cameron meets Jack Pallas, a man, she worked with in the past and who believes that she screwed up his life. The chemistry between the main characters jumps off the page and makes this book go very fast. Jill Shalvis is another author that I heard a lot about of, but had never looked at before--until a few weeks ago, that is. I came across one of her books (It Had to Be You) in my local library about a month ago, and since then I have devoured this series (I am currently reading Forever and a Day). My favorite, by far, is The Sweetest Thing. Tara Daniels wants nothing more than to get out of Lucky Harbor because the small town held nothing but bad memories for her, memories of a time she wanted badly to forget, especially memories of Ford Walker. She definitely doesn't want to make new memories with Ford, but that's what she suddenly finds herself doing, no matter what she tells herself she wants. Ford wants Tara. He remembers their time together as being a good one, although he does agree that the outcome could have been better. What I liked about this book is that it really was the sweetest thing. Ford is absolutely head over heels in love with Tara, even though he isn't willing to admit it. Tara is also in love with him, but that scares her because she doesn't want to love him. He hurt her the last time they were together and she's afraid that she'll get hurt again. The way they are together was so good, especially when their long lost daughter shows up. If you have not read this book, you need to go and do that.